Welcome to the website of Olivia Shaw. I am an experienced acupuncturist and herbalist based in Surbiton, Surrey, specialising in fertility issues, women’s health and pregnancy. 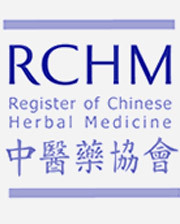 I am a member of the Association of Traditional Chinese Medicine and Acupuncture UK and the Register of Chinese Herbal Medicine. Treating conditions during pregnancy, such as nausea, aches and pains caused by pregnancy, breech presentation and promoting natural and efficient labor. I realise that you may be new to Chinese medicine so I have tried to make my website as informative as possible. I have also included a selection of patients’ stories, so that you can see what can be achieved with Chinese medicine and the way that I work. If you are ready to take control of your health and your fertility then please email me or call me in confidence to discuss how Chinese medicine can help.